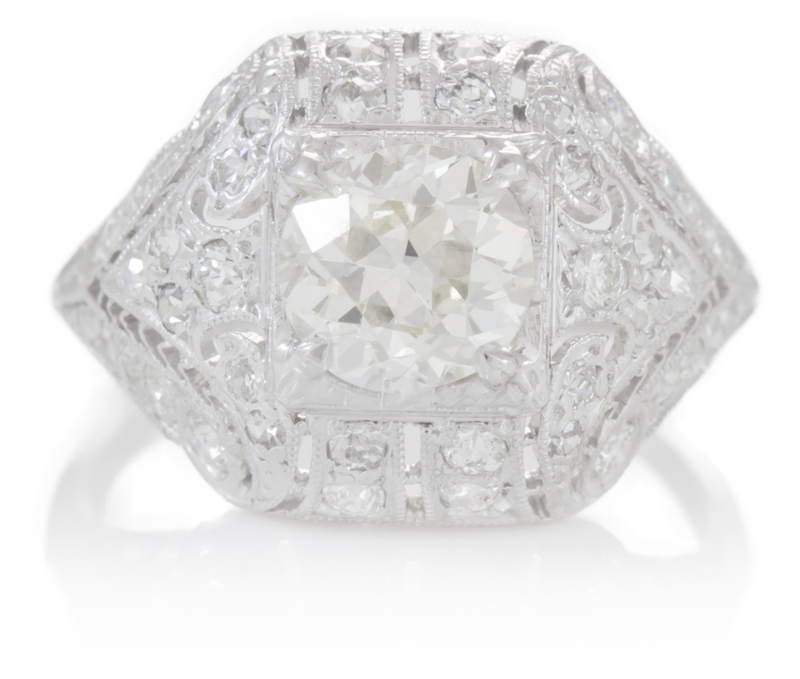 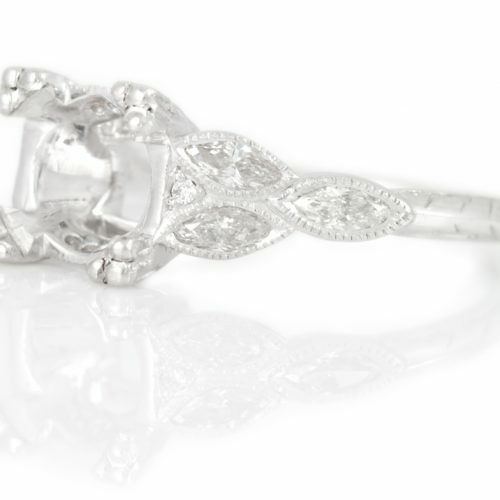 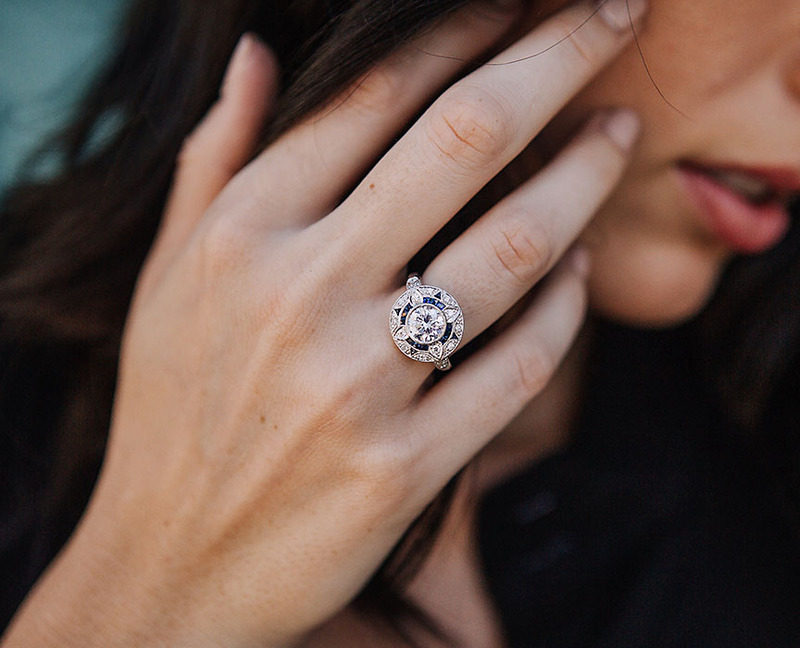 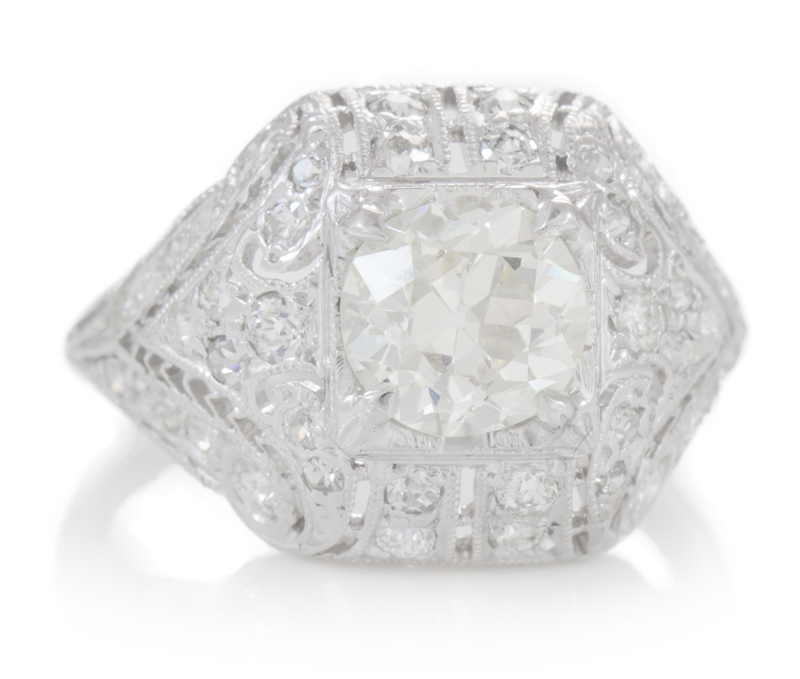 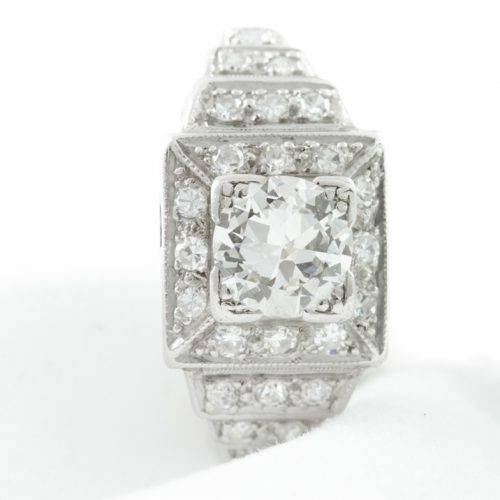 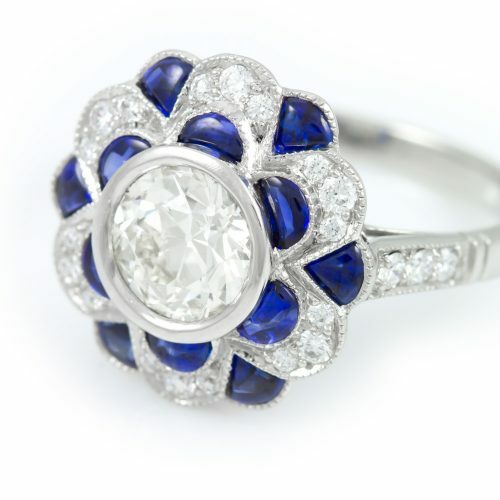 This beautiful ring has a 1.32ct European cut diamond in the center. 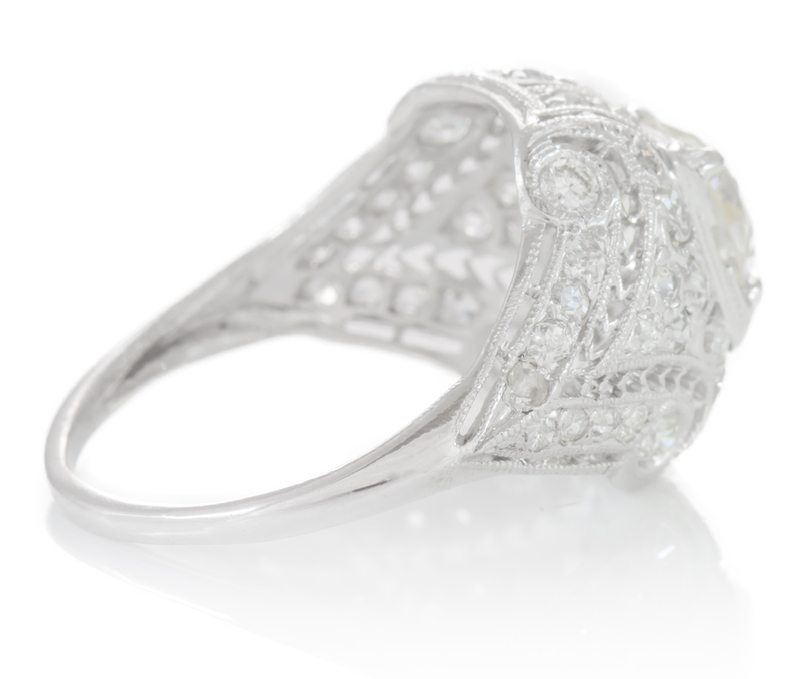 Another 0.30cttw pave` mine/single cut diamonds are embedded in the mounting. 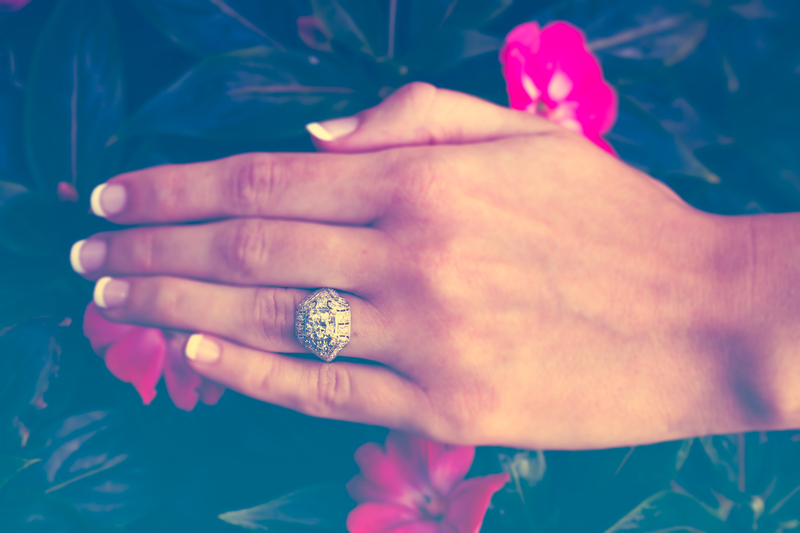 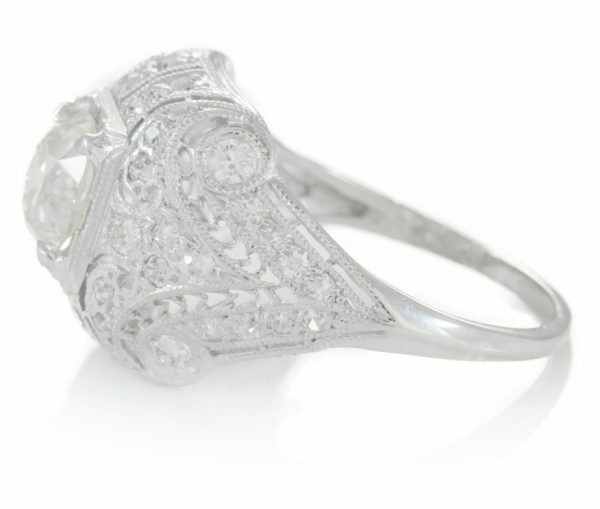 The dome snapped ring has excellent filigree and milgrain for a ring that is from the 1920s; What a great example of an Art Deco antique ring.